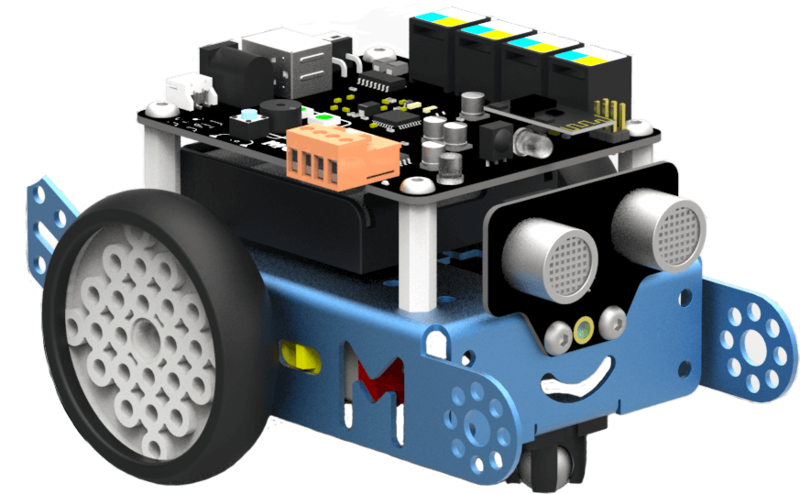 mBot is an educational robot for individual and classroom use, empowering users to be innovative and creative while having fun. 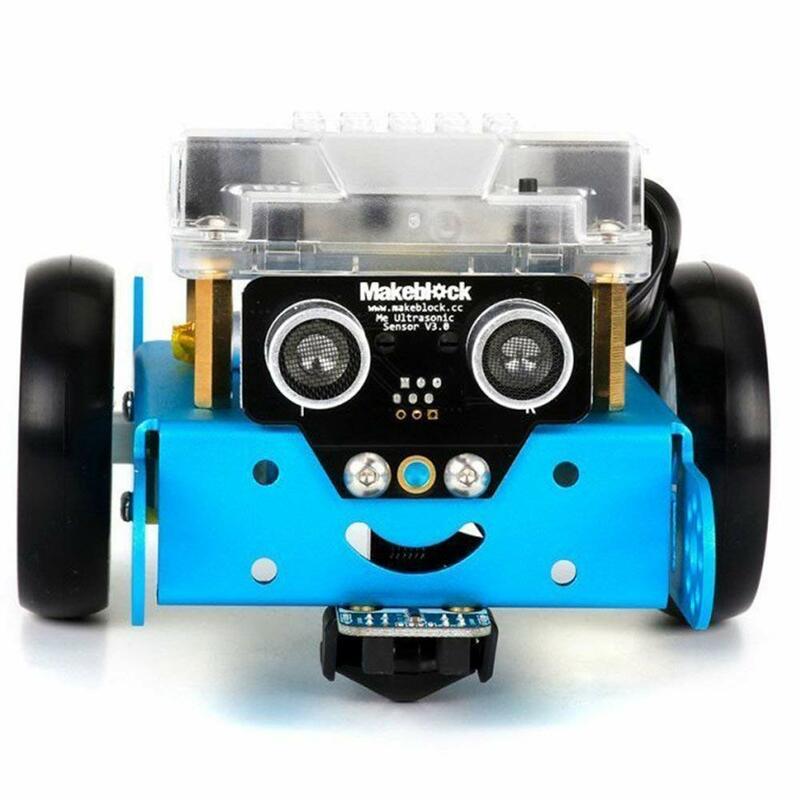 mBot is programmed using the mBlock software which integrates Scratch and Arduino programming. This programming language is both simple, powerful and very quick to learn. A platform with endless possibilities. 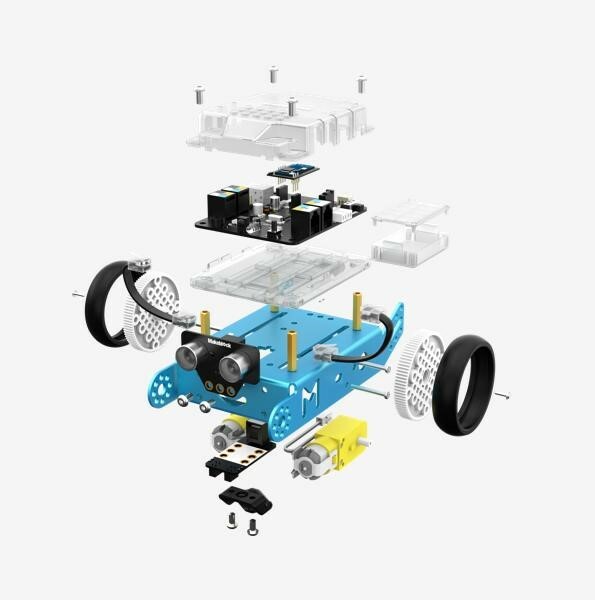 mBot is a low cost, easy-to-run robot kit for kids to get hands-on experience about graphical programming, electronics, robotics. It is an all-in-one solution for robotics learning and designed for STEM education. It contains many features to develop a passion within kids for innovation. Makeblock’s block-based programming software enables beginners to simply drag and drop command blocks to program their mBot without need for coding experience. 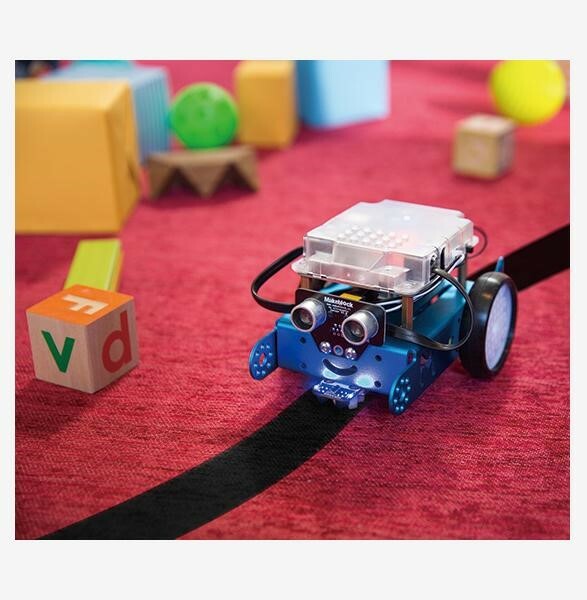 Children can not only use the preset controls for their robots, but write code for their robot and see it instantly respond to their instructions. 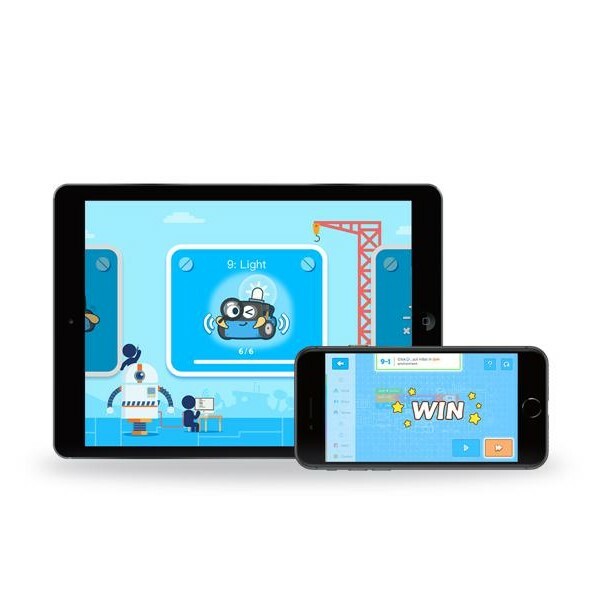 mBot comes equipped with 4 connection interfaces and 7 electronic modules and, together with add-on packs and their own code, let children turn their robot into a dancing cat, a smart lamp, and other creative projects. mBot is also compatible with LEGO blocks for even sensibility. Use the mBlock app to program and control your mBot. Your robot answers your commands to accomplish game tasks, making learning and playng one and the same.